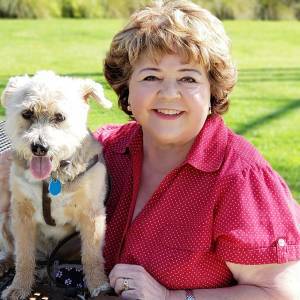 An exclusive interview with dog lover and Emmy Award-winning actress Patrika Darbo, and the three priorities that keep her inspired on a daily basis. Darbo is a familiar face to fans of feature films (In the Line of Fire), TV sitcoms (Step by Step), and daytime television serials (Days of Our Lives). She built her acting resume in local theater while working a day job as a credit manager, until landing her first screen role on TV in the early 1980s. "My husband, house, dog and family and friends always come first. I love my job and I strive to be the best that I can be, but my priorities seem to have always been in order." According to Patrika, she met Rolf Darbo when she was in the chorus of a production of Anything Goes at the Burbank Little Theater, and Rolf was the stage manager. "After our first date, I went to work and told everyone he was the man that I was going to marry. Unfortunately it took him two years to realize that I was the one that he wanted to marry. 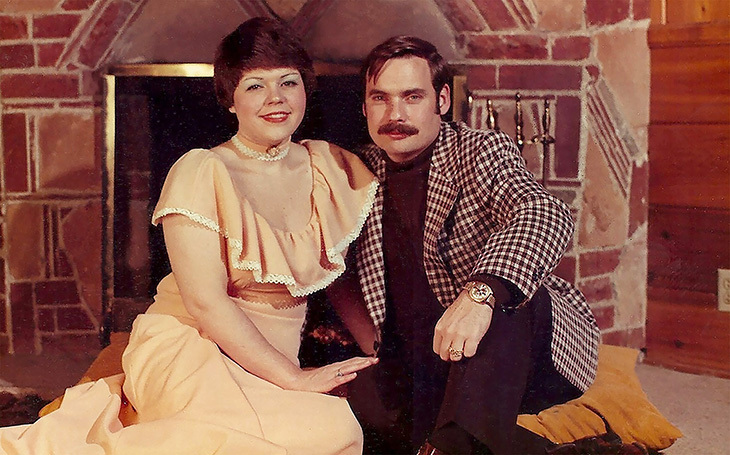 We ended up getting married on stage at the Golden Mall Playhouse in Burbank in a production called “To Tie The Knot”. It starred the two of us as the bride and groom." Patrika and Rolf Darbo married in 1973 and celebrated their 45th wedding anniversary in 2018, a milestone anniversary that not every couple achieves. Their secret to long-lasting marital bliss stems from keeping a balance between their individual identities, friends and pursuits, with shared goals and common interests. "It's not always easy, but we respect each other and we support each other...My husband puts up with me and sometimes I put up with him! He is the ying to my yang and vice-a-versa...I am blessed everyday to have a man who loves me so much." Long-time best friends are an important support system, and Patrika says her friendships have endured because of unconditional love without judgment. She cites her late stepfather, who was a diminutive 4'2", as an example of the loving & supportive family that inspires her to keep going. "He always told me to go out there and get it! He would say 'Don't let anyone tell you no and that your dreams do not matter.'" Darbo credits acting classes, encouragement and support from her friends, family, and acting coaches, as important factors in her career success thus far. She loves acting and has escaped being typecast - quite a feat when you consider that she is perhaps best known for her long-term performance as Nancy Wesley on Days of Our Lives (from 1999-2017, off and on). "Tenacity is very important. There are lean times and there are good times. You have to prepare for the lean times. You have to save your money. You have to constantly be working, auditioning, taking classes and studying. It does not matter whether you are working in film, television, the internet or theater. Acting is acting. You have to hone your craft." Patrika Darbo has worked with some of the biggest stars in Hollywood, in both comedies and dramatic movies such as It Takes Two (1988), Daddy's Dyin'...Who's Got the Will? (1990), and Troop Beverly Hills (1989). She had supporting roles in two Tom Hanks films - the comedy The 'Burbs (1989), and the darker Charlie Wilson's War (2007). Other film highlights include the comedy-drama road trip movie Leaving Normal (1992), sharing screen time with Christine Lahti and Meg Tilly. Look for Patrika as the quirky coonskin-wearing waitress "66" in the Leaving Normal trailer, below. More recently, Patrika Darbo appeared in the indie comedy film Life at the Resort (2011), and played a grandmother opposite Christopher Lloyd in two 2015 feature films - Pirates Code: The Adventures of Mickey Matson, and The Adventures of Mickey Matson and the Copperhead Treasure. Patrika was excited about her most recent movie work, the Netflix original Puppy Star Christmas (2018), in which she plays Mrs. Claus. "It's a musical with talking dogs....I shot it in Canada and it was a lot of fun to work with a great crew, wonderful actors and of course those darling doggies." Patrika Darbo has appeared in no less than five daytime TV soap operas. Her soap opera career began in 1986 with a small part on General Hospital; she also appeared briefly on Santa Barbara in 1991. In addition to the recurring role of Mickey Walker on web soap The Bay (2014-1017), Darbo has played some longer term arcs on two of the most popular and daytime television series - Days of Our Lives, and The Bold and the Beautiful. Her longest-running role and perhaps the one she is most recognized for, is that of scheming Nancy Wesley on Days of Our Lives. Darbo landed the part of "real woman" Nancy on Days of Our Lives without having to audition. She was paired on-screen as the loving but manipulative wife of Dr. Craig Wesley, played by actor Kevin Spirtas. Patrika Darbo has appeared on Days of Our Lives off and on since 1998, and her character's storyline has included breast cancer, and the return of her grown daughter Chloe (Nadja Bjorlin) whom she had secretly given up for adoption as an infant. Darbo's outstanding performances on Days of Our Lives were recognized instantly by fans and peers. She won the 1999 Soap Opera Digest Award for Outstanding Female Newcomer, and the following year she received a Daytime Emmy nomination for Outstanding Supporting Actress in a Drama series. In 2003 the Wesley family was written out of Days of Our Lives, but Patrika has returned several times since then for short runs, most recently appearing onscreen as Nancy Wesley again in 2017. Long-time TV soap opera fans know that one point in the 1980s, there were 14 daytime soaps on air at the same time. Today there are only 4 daytime TV soap operas on major networks left on the air - Days of Our Lives (since 1965), General Hospital (since 1963), The Young and the Restless (since 1973), and relative newcomer The Bold and the Beautiful (since 1987). I asked Patrika what she thought were the factors that lead to the demise of long-running daytime serials such as Guiding Light (began on radio in 1937 and switched to television from 1952-2009), As The World Turns (1956-2010), Another World (1964-1999), One Life to Live (1968-2012), and All My Children (1970-2011)? "It primarily has to do with money generated by ratings and advertisers. Years ago, women were home during the day watching TV but then more women joined the work force. Also it was generational. Grandparents, parents and then kids watched it for the stories. There are actually a lot of guys who watch soaps too. Before TIVO, soaps started to lose their audiences. It was just too expensive to keep soaps going. Also, the younger generation is not watching traditional television. They are only on the internet, so all of these factors have hurt the soaps." Darbo's most recent network TV soap role is on The Bold and the Beautiful as Sally Spectra's sister Shirley Spectra. Patrika Darbo has been a frequent guest-star on primetime TV series (Desperate Housewives, Dexter) and sitcoms (The Middle) since the 1980s. She had a recurring role on Growing Pains as a high school staffer, and was an edgy ex co-worker in "The Revenge" episode of Seinfeld. A guest spot on The Big Bang Theory was memorable because behind the scenes, the cast went out of their way to make guest performers feel welcome. She had a similar experience while working with Suzanne Somers and Patrick Duffy (playing newlyweds Carol Foster-Lambert and Frank Lambert) on the 1990s sitcom Step by Step. Patrika Darbo was in the sitcom's pilot episode as Carol's sister Penny Baker, and remained a regular on the series through the 1991 and 1992 seasons. She still has fond memories of her time with Somers and Duffy on Step by Step, and says she'd love to work with either of them again. After guest-starring on an episode of Roseanne as a waitress in 1990, Patrika Darbo stepped into the leading role of Roseanne Barr herself in the NBC TV unauthorized docudrama movie Roseanne and Tom: Behind the Scenes (1994). In the TV promo below for Roseanne and Tom: Behind the Scenes, Darbo is featured along with actor Stephen Lee as Tom Arnold. "As a performer I like all genres of film, TV and web TV because it is an opportunity for me to be creative and to work...TV movies are often shot in 10 days and a feature can take a month or longer to shoot." Patrika Darbo won the first Primetime Emmy Award for Outstanding Actress in a Short Form Comedy or Drama Series, for her 2016 performance as an unusual agent on the dark comedy internet series Acting Dead. While Acting Dead won several indie series awards, Darbo's was the only Emmy win for the cast. The trailer below for Acting Dead features the series producer & star Brian Beacock as a struggling actor, Darbo, singer-actress Debbie Gibson as a waitress, and familiar soap opera face (Diane Miller on General Hospital) Carolyn Hennesy. Patrika Darbo picked up some co-producer credits on the 2010-2012 web series Miss Behave. She also played Dr. Freed on Miss Behave, and earned a 2012 Indie Soap Awards Best Guest nomination for her performance on the show. Her advice for younger actors and actresses just starting out? "Continue to study. Surround yourself with positive people. Don't sit in a bar complaining about business. Stay positive. Get out there and take classes. Network. Make sure that what you are doing feeds your soul." Not content with being in front of the cameras, Patrika has been a long-time member of the Television Academy. She was recently elected TV Academy Co-Governor, a responsibility that includes implementing changes that benefit performers at work and in their lives, a role that she's proud to fulfill. Patrika's preferred leisure activities include reading, watching action and romantic films, and television series. She's an avid mystery reader, and loves the Sue Ann Jaffarian mystery series featuring plus-size paralegal Odelia Grey. "I love the fact that she is full-figured. No matter what your size is, you still have a brain and you can still be loved and you can have a purpose. It is a role that someday I would love to play on TV or in a film." Darbo walks their 9-year-old adopted terrier-mix "Reesee" and plays golf for exercise and fun. A youthful-looking septuagenarian, she notes the anti-aging benefits from these activities. "It keeps my legs and joints moving. I do try to stay out of the sun because we have to protect our skin and in my business, your face is so important because the camera sees everything." Patrika does charity work and volunteers on behalf of dogs and pets near her California home. She recommends adopting from local organizations such as The Rescue Train, Pacific Coast Dog Rescue, the Bill Foundation, and Jameson Animal Rescue Ranch. "She is our child....she is a stinker and an angel and she is spoiled rotten. Reesee’s past owners allowed her to be extremely protective and not real good around people and other dogs. Several of the ladies on The Bold & The Beautiful used to bring their dogs to the set and it was always fun and we would play with them. Not Reesee. She would not have done well on set. It is funny because she goes into the groomers acting like Cujo. Then she goes into the grooming station and becomes a little angel and then she comes out as Cujo again. She is the love of our lives." Darbo loves encouraging younger talent and is a mentor for young actresses and actors, providing career advice and coaching them for auditions. Teaching acting in future is an interest, however she doesn't believe everyone has it in them to be an actor. "I don't think you can really teach acting. I think you can just help to shape people who have a natural ability. There are seriously some people who don't have acting talent and they can't act their way out of a paper bag with two machetes in their hands." It's clear to me that Patrika Darbo is not one to waffle over decisions, or indulge in nostalgia and "what could have been". She's firmly focused on the future and has always been able to say what's on her mind. "I am where I am today because of what I did or didn't do. That is just the way it is. I never look back. I just keep moving forward." Darbo has no plans to retire from acting and isn't in it because she has to make a living - she just loves working at her craft. "I am an actress and I will be an actress until my last day on earth if possible. I could never get up tomorrow and do anything else. This is who I am...Retirement is not for me. I love what I do and I will die doing it." 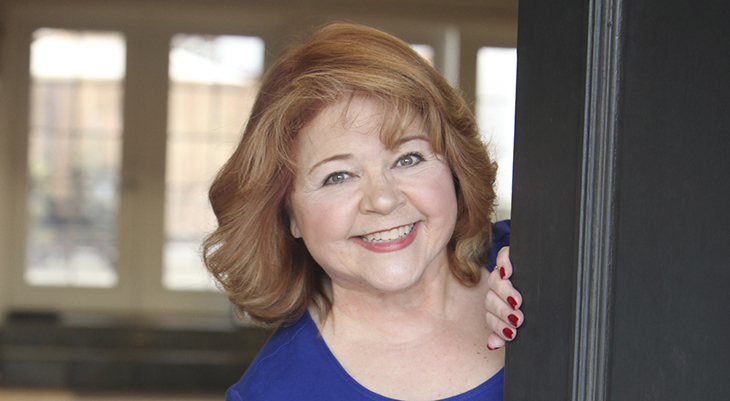 Patrika Darbo keeps in touch with fans regularly on Twitter, Instagram and Facebook.